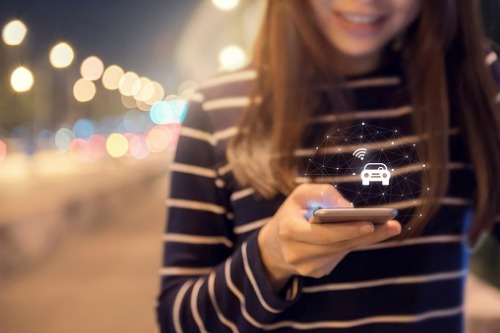 While insurance companies have yet to fully get behind the idea of ridesharing – or even gig economy businesses, in general – the revolutionary business models continue to disrupt the industry. Ridesharing companies Uber and Lyft have taken insurance matters into their own hands, largely managing their own risk. However, both companies are also treading in uncharted territory when it comes to insuring a risk profile even actual insurers do not have enough information on. In announcing its initial public offering, Uber revealed in regulatory filings that it uses a combination of third-party insurance and self-insurance to protect against risks related to its ridesharing business. But as it expands its offerings to include freight, autonomous vehicles and electric scooters, among other things, its insurance needs are expected to grow as well. Uber’s filings also noted that its insurance reserves totaled US$2.94 billion at the end of 2018, up from US$2.0 billion at the end of 2017. By the end of 2016, the company’s insurance reserves totaled US$712 million. Meanwhile, Lyft had set aside US$863.7 million in its captive insurance subsidiary at the end of 2018, compared to US$360.9 million in 2017, the company revealed in a public offering document. Other gig economy businesses such as Airbnb have also turned to captive insurance to protect themselves. The decision to go with captive insurance makes sense for these companies – they know their operational risks well and have access to information which is not necessarily available to third-party insurers. The Wall Street Journal has reached out to both Uber and Lyft regarding their insurance plans; Uber’s spokesperson declined to comment beyond what was explained in their regulatory filings, while Lyft’s representative also declined to comment.